"As always I had the best possible experience on this visit. Expert and friendly care that i can trust and i always feel like family. I will never go to a different dentist. "- Marlon G.
“Best choice I ever made going to Dr. Mosslehi. I do not like going to the dentist, but this doctor made me feel good and I was able to get lots of work done on my mouth. If you ever need an implant, I RECOMMEND DR. MOSSLEHI. I am 110% happy with my results! The receptionist Sandy is the sweetest person, and everyone in that office is nice.” – Liz F.
“Dr. Moss and all of the girls in his office are AMAZING. Ever since I was little, I've always hated going to the dentist and suffered from anxiety any time I've had to have anyone inside of my mouth. Dr. Moss is so gentle and he really takes the extra time to make sure that you're feeling comfortable. I love this place! I don't ever want to have to go to anyone else again. Today, I had to go into the office when my temporary bridge fell out. They saw me without a hassle and had me out in less than 30 minutes. I'm so pleased with Dr. Moss and his staff; they leave me breathless every time. Thank you all; you're wonderful!” – Desiree S.
“All my life I have struggled with different dental issues, and I have seen a lot of doctors but none of them even compares to Dr. Moss. I had a lot of dental problems but now I'm finally able to smile—really smile—for once in my life and I owe it to Dr. Moss and his amazing staff. Everybody from the front office to the dental assistant and hygienist are as friendly as they are professional. I am so happy that I found Dr. Moss because he is the best!!! THANK YOU!” – Alina O. “I was referred to Dr. Mosslehi by my fiancé after my filling had abruptly fallen out on a weekend. My fiancé called the office the very next business day, which was a very busy Tuesday. They worked me into their very busy schedule to make sure I was taken care of as soon as possible. The entire staff at this office is knowledgeable, skilled, personable, and professional all at the same time. Being a Registered Nurse, I always look for these qualities. I am happy to say this office has it all! I had a very long procedure in the state-of-the-art office with every step explained to me in great length. Needless to say, my two porcelain-filled teeth are beautiful! I am thrilled with the results the doctor achieved. I would gladly recommend Dr. Max Mosslehi to friends, family, and my fellow professionals as well. He is kind, and best of all, gentle. Your comfort and the beautiful results are his main goal. I am so happy with my results, and you will be, too!” – Barbara N.
“This dentist’s office is equipped with the most advanced technology and the practice runs smoothly. I contacted the office online at about 5:00 p.m. and a staff member contacted me back before I navigated off the site and offered me an appointment for a free consultation the next morning at 10:00 a.m. Dr. Mosslehi was attentive and prepared the most professional treatment plan with HD images and digital X-rays of my teeth. He also had a detailed estimate of treatment costs. I slipped and fell at a grocery store and broke my tooth and this dentist even prepared a letter with his findings on my behalf to give to the adjuster. I felt comfortable and in good hands and I highly recommend this dentist. Thank you Dr. Moss.” – Lisa C.
“I wanted to say 'THANK YOU' to Dr. Moss and his staff for doing such an awesome job on my root canal that I had last night on Halloween. Dr. Moss and his staff stayed late to finish it. They are so professional, friendly, and comfortable (strange words to use for a dentist, but so true!). I was referred to him by a co-worker and he had never done any work on my teeth, and now he is MY dentist and I will refer him to everyone too!” – Lori P.
“Dr. Moss and staff are great! I have been a patient for several years and trust them completely to do a great job. I recommend Dr. Moss. The staff is very professional, friendly, and caring. Thank you all.” – Abby H.
“There is a great deal of professionalism and dedication at Dr. Max’s office! I also like the quality of the materials he uses and the pain-free experience. I recommended his work to all my friends and relatives. If you want quality work come and see him.” – Adrian P.
“I want to thank all of you for everything you did for Kylie. You all came in on your day off and spent so many hours with my daughter. I can’t tell you how much I appreciate all that you did. You are all the best!” – Pattie S.
“I am a picky client. Recently, my long-term dental hygienist advised me to have dental implant versus bridge. I was doubtful. I am extremely pleased with my two new implants now. 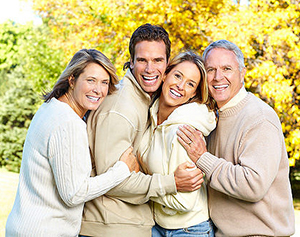 Dr. Mosslehi is not only gentle and knowledgeable but also handy and experienced. Also a cheerful and well-trained staff assists him. Anyone who is picky like me needs to see this specialist.” – Myly N.
“I love everybody—Dr. Moss is amazing! He's kind and gentle as well as very competent. Actually above competent! Genius! The staff are wonderful! I wish I could adopt them all!” – Sumra W.
“I was satisfied with the whole experience I've had so far. The crown on my tooth looks great. I really like the way the staff attended to my needs and concerns. I really loved the little or no wait at all.” – Rhio R.
“I am very scared of dentists. I just had a root canal and two crowns and I did not feel anything. I was very happy with my treatment. Dr. Mosslehi will be my dentist from now on. Your staff was so sweet and comforting. I think the iPod you offered me to listen to while you were working really helped me. You were all so patient with me. I have recommended your office to all my friends and family.” – Carla K.
“I have been a patient for many years. Everyone is consistently friendly and professional. My most recent procedure was a crown. Dr. Moss was very attentive to my pain threshold. Whenever I have my teeth cleaned, the hygienist is always very considerate. The staff is great! They are always happy to see me and make me feel special. They are very efficient and knowledgeable. I feel I am in very good hands at all times.” – Amy N.
"Everyone in your office gives time to his or her customers. I am so happy for being on this place. I have a lot of experiencs with dental offices. I am the right place now." - Hanna T.
"Dr.Mosslehi and staff were patient and kind during root cancal procedure. I am so grateful for their expertise and respect for each other and their patients. PS Nitrous oxide helps." - Karen C.